New facilities in Atlanta, Miami and Providence are a first step in GE's efforts to attract and retain IT talent with a mix of technical, analytical and leadership skills. 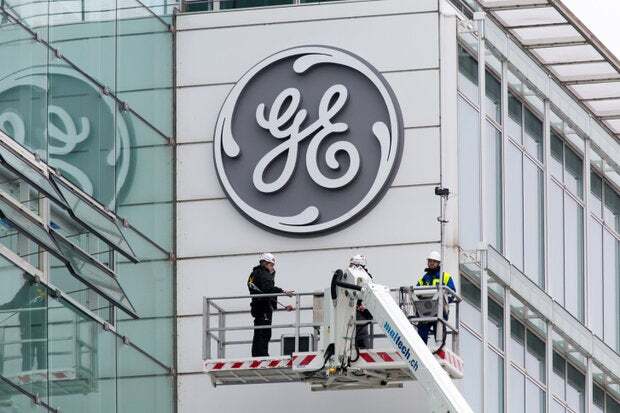 For the past several years, General Electric (GE) has been pursuing a profound digital transformation with an eye to claiming a stake at the heart of the digital industrial revolution. GE CTO Chris Drumgoole says thriving in the era of the Industrial Internet requires employees with new capabilities — technical, analytical and leadership skills that are explicitly cross-discipline. "Like a lot of big IT shops around the world — we resemble a lot of them, I'm sure — we've been very heavily outsourced over the years," Drumgoole says. "A lot of talent went the way of outsourced partners and other businesses. All around it was about cost and efficiency rather than innovation. If we're going to be successful in the Industrial Internet, that has to change. We need hands-on-keyboard technical talent." In the past, Drumgoole says, IT has frequently been relegated to the back office, where it has focused on keeping infrastructure and systems running. But that's all changing. Now, he says, CIOs and technical talent are at the core of the business, "imagining, building and deploying platforms and applications that are fueling growth and producing tangible financial returns for customers." Today's CIOs and IT technical teams are expected to innovate to drive competitive advantage in the market, while also keeping one hand on the tiller of day-to-day IT tasks that reduce inefficiencies and costs. In Atlanta, GE will establish a Digital Operations Center to support its Global Infrastructure operations. Drumgoole notes that Atlanta will be the largest site, but won't resemble a traditional network operations center (NOC). Instead it will be a big collection of small teams working in the same building. GE plans to hire system administration, system engineering, full stack operations (DevOps), full stack engineering and service desk professionals for the Atlanta location. In Miami, GE will expand its existing presence to support the company's growth in Latin America by attracting up-and-coming tech talent with language skills. Drumgoole notes that there's a lot of working going into turning Miami into a tech center, and if that happens, "We want to be there first." The company will hire IT professionals with network management, software engineering for apps and end user client services skills. In Providence, GE will create a new site to support the development of end-user applications and high performance computing (HPC). Drumgoole notes there's a lot of UX talent in Providence, as well as talent with extensive skills in applied mathematics. Drumgoole says the new sites will offer hundreds of new GE IT positions over the next several years, adding to its current pool of 8,000 GE IT employees. "That's what this move is all about for us: the talent," he says. The ability to attract and retain it — that's why we're going to a number of sites, not just one." Deciding where to place the new facilities was an exhaustive process, he explains. Part of it was based on the presence of universities — he notes that institutions like Brown University played a big part in Providence's selection. But the company also studied population growth in an effort to identify up-and-coming tech centers. "It's all about talent and being close to a space where we can influence talent," Drumgoole says. He notes that it's not just about elite research universities like Brown. The company hopes to establish apprenticeship programs in many schools and universities. The stakes are high. According to Wikibon, spending on the Industrial Internet of Things (IoT) will reach $500 billion by 2020. Drumgoole says a rapidly expanding ecosystem of global systems integrators, independent software vendors, telecommunications services, technology providers and developers is emerging as a result of the gold rush. At the heart of it all is the industrial IT talent that will allow organizations to transform their operations leveraging quantities of data that will make the data generated by the consumer Internet look "quaint" in comparison. All that means the demand for "full stack" technical talent, already a hot commodity, is going to keep rising. Companies that want to thrive in the Industrial Internet space will have to compete for employees who may have expertise in an area like networking or Java coding, but also have working knowledge of the other IT domains. "We're looking to go into new cities where we're going to be an attractive employer," Drumgoole says. "These employees are very sought after." "We still need the network guru, but the network guru needs to understand the other technologies," he says. "The same is absolutely true of the software side. Developers need to understand infrastructure and vice versa." The three new locations are just the beginning for GE, Drumgoole says, noting that a global company can't run its IT out of just one country. "This is a first step for us. We're not looking at this uniquely to the U.S.," he says. "Expect to see more from us in other spaces. We started in the U.S. because that's where we have some scale for IT."